Article 1 - Indian Antiquities. § 70-1. Private landowners urged to refrain from destruction. § 70-2. Possessors of relics urged to commit them to custody of State agencies. § 70-3. Preservation of relics on public lands. § 70-4. Destruction or sale of relic from public lands made misdemeanor. §§ 70-5 through 70-9. Reserved for future codification purposes. Article 2 - Archaeological Resources Protection Act. § 70-11. Findings and purpose. § 70-13.1. Criminal record checks of applicants for permit or license. § 70-14. Rule-making authority; custody of resources. § 70-15. Prohibited acts and criminal penalties. § 70-19. Cooperation with private individuals. § 70-20. Delegation of responsibilities. §§ 70-21 through 70-25. Reserved for future codification purposes. § 70-21. Cemeteries on State lands. Article 3 - Unmarked Human Burial and Human Skeletal Remains Protection Act. § 70-27. Findings and purpose. § 70-29. Discovery of remains and notification of authorities. § 70-30. Jurisdiction over remains. § 70-31. Archaeological investigation of human skeletal remains. § 70-33. Consultation with other individuals. § 70-35. Disposition of human skeletal remains. §§ 70-41 through 70-45. Reserved for future codification purposes.  Article 4 - North Carolina Archaeological Record Program. § 70-47. Findings and purpose. § 70-50. Site Steward Program.